Are you looking for a grand way to welcome the newest member of the family? Well, you're in luck! 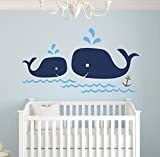 This category is full of fun,creative and most importantly unique nursery decor. 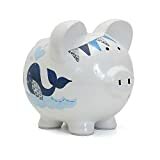 Our item below will help you create a great whale-themed nursery for the new addition to your growing family. 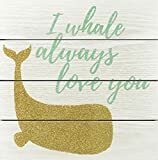 Linden Ave AVE10109 I Whale Always Love You Wall Décor 10" x 10"
The whale theme is not only child friendly but calming as well. 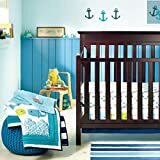 The blue color that accompanies it will give your child's room a relaxing ambiance that will help calm them at all times. 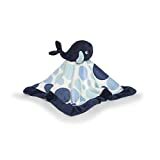 What's more the fun whale features are adorable and guaranteed to brighten up the nursery in an effortless manner. 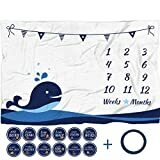 For a continuous flow of the whale theme, choose the 8 or the 4 piece set that includes wall stickers and bedding. 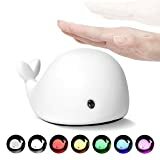 This makes the decorating process easy and at the same time promotes a continuous flow. 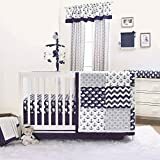 The cot bedding in this category is made of high quality materials that are child friendly. Your child is guaranteed to cherish every single moment spent in their room. Take a look at our above products and find everything you need to make your child's bedroom a perfect sanctuary.